Get your healthy meal prep today! We only use the freshest ingredients and zero calorie natural seasonings. Meals preps will be delivered right to your doorsteps! All meals come in microwavable boxes for easy storage and reheating. Meals intended for consumption within 3 days can be kept in the fridge while those intended for longer storage can be easily kept in the freezer and defrosted accordingly the night before intended consumption. Lean seasoned chicken breast served on a bed of fusilli mixed with arrabbiata sauce. Served with a side of seasonal vegetables. Lean pesto flavoured chicken breast served on a bed of sesame flavoured penne. Served with a side of seasonal vegetables. Lean seasoned chicken breast served on a bed of teriyaki flavoured spaghetti. Served with a side of seasonal vegetables. Lean chicken breast oven baked in an intense peppery glaze, served with brown rice and seasonal vegetables. Lean chicken breast seasoned in a savoury spice, served with brown rice and seasonal vegetables. Tender New Zealand ribeye steak grilled in a black pepper glaze, served with patatas bravas and seasonal vegetables. Taco flavoured tender New Zealand ribeye cubes served with brown rice and seasonal vegetables. Flavoured minced beef served with brown rice and a side of seasonal vegetables. Norwegian salmon fillet oven baked with a lemon herb rub served with brown rice and seasonal vegetables. Grilled lean white fish served on a bed of sesame flavoured penne. Served with a side of seasonal vegetables. Prawns seasoned in a mildly-spicy sauce, served with spaghetti and seasonal vegetables. Seasoned prawns served on a bed of delicious teriyaki spaghetti and a side of seasonal vegetables. Glazed organic tofu served with mixed vegetables brown rice and organic romaine lettuce. Healthy Soba, hard boiled eggs with a dash of seasoning, boiled sweet baby carrots, corn, fresh lettuce and cherry tomatoes dressed with roasted sesame sauce. Low carb, low sodium. 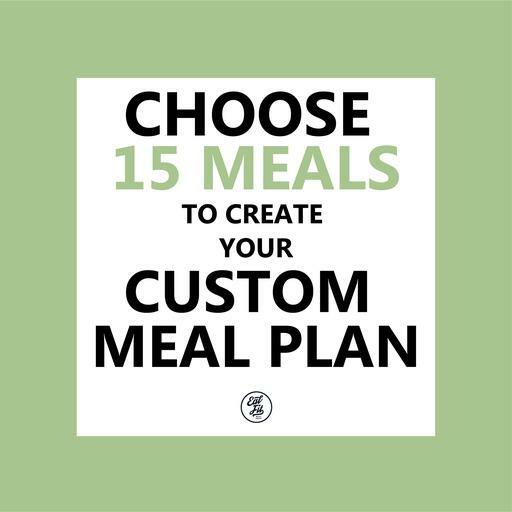 Customise a lean meal with your choice of protein, carbohydrate and vegetables. All macronutrient values are provided for convenient customisation according to your goals.